I had my first real school conference today with Mason's kindergarten teacher. He continues to do amazing in school ... behaviorally and academically, which is such a relief. 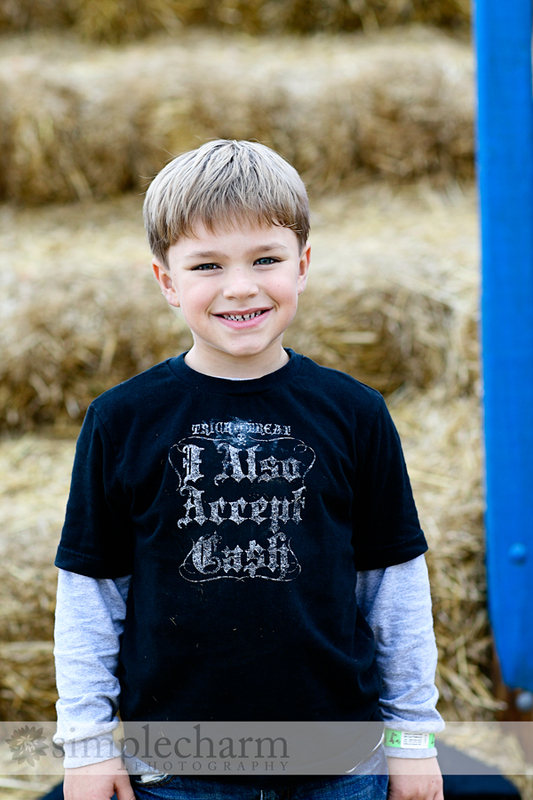 After having problems in both areas in preschool, I was really nervous to see how he would do in kindergarten. Based on my observations, I think the biggest thing that has helped him ... honestly ... is his teacher. His teacher is someone who has two sides ... the strict side and the endearing side. I liken her to me. Ha. Mason adores her, however he also knows that she means business. Another thing that has helped him is the reward system that his elementary school has. They are huge on having the kids be quality students ... and that term is thrown around a lot in school. Every day Mason gets either a smiley face, straight face or sad face based on his behavior in the classroom. He has received a smiley face everyday so far, with the exception of one day that he received a straight face ... not sure what his deal was that day. In addition to this behavior chart, the kids can get a Mini Paw (their mascot is the Westies) for doing something extra good ... or a Mega Paw for doing something extraordinary. Err something like that. Mason has received a lot of Mini Paws and even one Mega Paw so far. 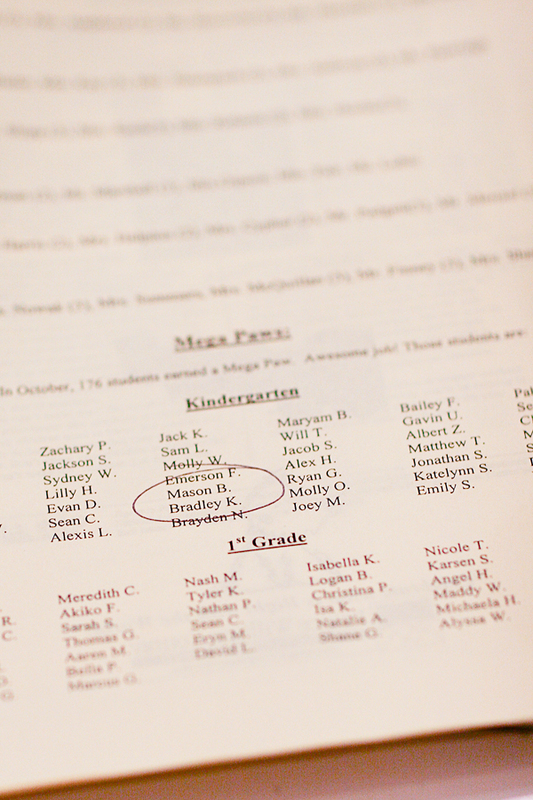 I actually was just reading through the October newsletter and saw Mason featured in a list of 43 kindergartners ... out of about 175 total ... that got Mega Paws that month ... so proud of him! Right now in school, they are working hard on learning letters by sight and knowing the sound each letter makes. They also are working on rhyming and identifying words that start with the same sound. I was telling Mason's teacher that he is constantly sounding out words and telling us rhymes ... which made her very happy! He is just so academically involved right now and I love it. Other things they are doing in school are mixing colors to make other colors and using laptop computers to learn. They also has been working on counting, which I can tell. Clearly the way we were trying to teach him wasn't working. When he started school about two months ago, we couldn't even get him through the teens without getting confused. Now he can get to 29 no problem, he just has not grasped the concept that next comes 30 ... he tries to go to 20 again. He cracks me up. It's really cool how a few small changes can make a big difference! Glad to hear Mr.Mason is kick a and taking names in school. Be proud Momma!